You can connect to your MySQL server via SSH, if you have your SSH key uploaded on the server, you don't need to enter a password, besides the SSH user (ploi in this case), and database user name. 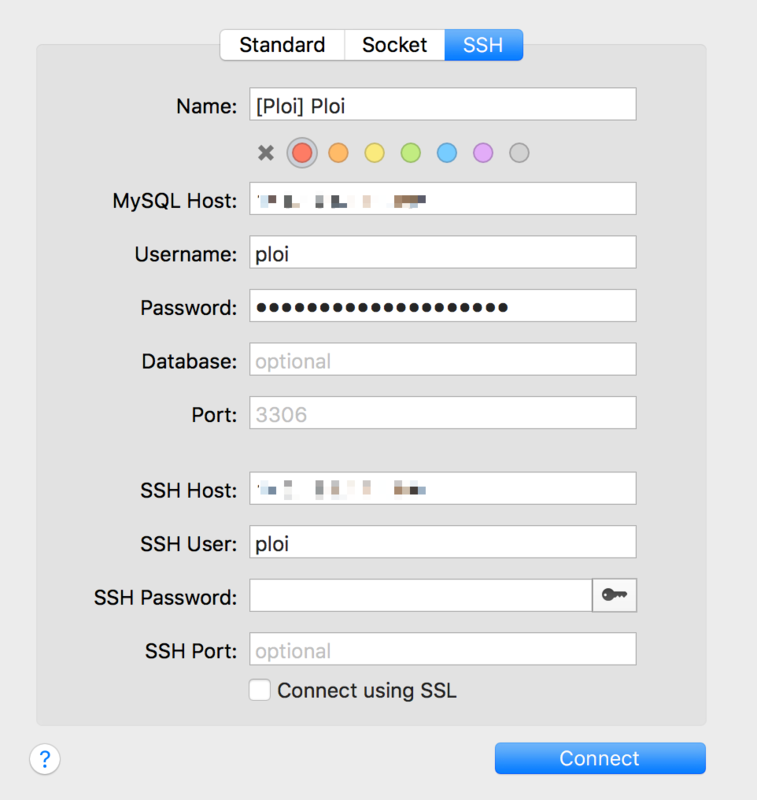 There are several apps that make managing your MySQL able with SSH connection, think of: SequelPro (mac) or HeidiSQL (windows). This example above, assumes you have the SSH key setup on your server so you can leave SSH password empty. In the MySQL host and SSH Host you fill in the server's IP address where the MySQL server is located.